A multi-functional microstrip compact antenna capable of steering the main beam to eight different directions in the elevation plane is conferred in this study. The compact antenna consists of a driven patch of to bring in the resonance to , for achieving enormous application in european radar service under Wi-MAX band. The conductive layer on the superstrate deflect the beam with an angle corresponding to the position of superstrate on parasitic layer, without considering complex phase shifters and associated circuits. Proper alignment of superstrate results maximum scanning angle ofwithof deflection angle. The directivity of the antenna is enhanced by manipulating the parameters of the superstrate. The gain of the antenna was improved up to and the efficiency is improved up to using engineered superstrate. The full-wave simulation as well as analytical study was done using the IE3D EM simulator. Subhrakanta Behera was born in Odisha, India. He received the B.Sc. Degree from Utkal University in 1995, the M.Sc. Degree from Berhampur University in 1997, the M. Tech. Degree from Cochin University of Science and Technology, Kochi, Kerala, in 2004, and the Ph.D. Degree from Indian Institute of Science, Bangalore-12, India, in 2011, under the guidance of Prof. K. J. Vinoy. He spent a year as a Postdoctoral Research Fellow at the GE Global Research Centre, Bangalore. He is currently an Assistant Professor in the School of Electronics Engineering, KIIT University, Bhubaneswar, India. His research interest is in the field of computational electromagnetic and microwave engineering. . He is the author or coauthor of 13 papers and articles published in international conferences and scientific journals. A. A. balanis, "Antenna theory analysis and design", Third edition, A JOHN WILEY & SONS, INC PUBLICATION. Ramesh Garge,"Microstrip antenna design handbook,artech house,USA. J. D. Kraus,Antennas, second edition, M.C. Graw-Hill, New York. M.Fallahpur, M.T. Ghasr and R. Zoughi,"Miniaturized Reconfigurable Multiband Antenna For Multiradio Wireless Communication,"in IEEE Transactions on Antennas and Propagation,vol.62,no.12,pp.6049-6059,Dec 2014. Zivin Park,Jenshan Lin "A Beam-steering Microstrip Antenna for Non-Contact Vital Sign Detection", IEEE Antennas and Wireless Propagation Letters, vol.10,pp.235-238,2011. Samuel C. K. Ko, and Ross D. Murch, "Compact Integrated Diversity Antenna for Wireless Communications", IEEE Transactions on Antenna and Propagation, Vol. 49, Issue No. 6, pp. 954-960, June 2001. S. Genovesi, A. Di Candia, and A. Monorchi, "Compact and Low Profile Frequency Agile Antenna for Multistandard Wireless Communication Systems", IEEE Transactions on Antenna and Propagation, Vol.62, Issue no. 3, pp. 1019-1026, March 2014. 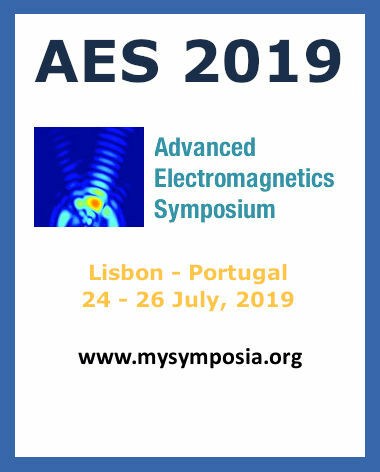 H. Y. Yang, and N. G. Alexopoulos, "Gain Enhancement Methods for Printed circuit Antennas through Multiple Superstrates", IEEE Transactions on Antennas and Propagation, Vol. AP-35, Issue. 7, pp. 860-863, July 1987. M. R. Taner, O. E. Karansan, and E. Yavuzturk, "Scheduling Beams with Different Priorities on a Military Surveillance Radar", IEEE Transactions on Aerospace and Electronics Systems, Vol. 48, Issue No. 2, pp. 1725-1739, April 2012. Y. Yusuf and X. Gong, "A low-cost patch antenna phased array with analog beam steering using mutual coupling and reactive loading,"IEEE Antennas Wireless Propag. Lett., vol. 7, pp. 81–84, 2008. A.P. Freundorfer, M. Z. I. Bekheit, and Y. M. M. Antar, "Measurements of a Compact Surface Wave launcher Array with Application to Single frequency Beam Steering Leaky Wave Antennas", Asia-Pacific Microwave Conference, 2006. Taeksoo Ji,Hargsoon Yoon,Member, K.Abraham, Vijay K.Varadan,"Ku-Band Antenna Array Feed Distribution Network With Ferroelectric Phase Shifters on Silicon", IEEE Transactions on microwave Theory and Techniques,Vol54,no.3,March 2006. M.Faisal Abedin, and Mohammod Ali, "Effects of EBG Reflection Phase profiles on the input Impedance and Bandwidth of Ultrathin Directional Dipoles", IEEE transactions on antennas and propagation, Vol.53,no.11,November 2005. R. Mittra, Y. Li, and K. Yoo, "A comparative study of directivity enhancement of microstriiip patch antenna with using three different superstrates", Microwave Optical Technology letter, Vol. 52, Issue no. 2, pp. 327-331, 2010. O. Siddiqui, Hussein Attia and O. M. Ramahi, &quot;Antenna Beam Control Using High Refractive Index Superstrates"; Proceeding of the 9th International Symposium on Antenna, Propagation, and EM Theory, Guangzhou, China, Nov. 29–Dec. 2, 2010. A. Foroozesh and L. Shafai, "Investigation into the effects of the patch type fss superstrate on the high-gain cavity resonance antenna design", IEEE Transaction Antenna and propagation, Vol. 58, Issue no. 2, pp. 258-270, 2010. Hussein Attia, L. Yousefi, M. M. Bait-Suwailam, M. SaidBoybay and O. M. Ramahi, "Enhanced-Gain Microstrip Antenna using Engineered Magnetic Superstrates," IEEE Antennas and Wireless Propagation Letters, vol. 8, pp. 1198-1201, 2009. 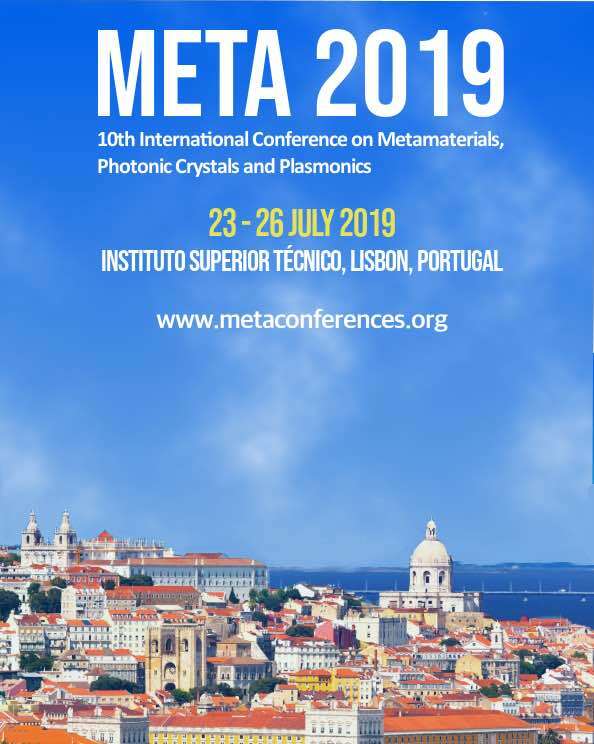 H. Griguer, M. Drissi, E. Marzolf, H. Lalj, and F. Riouch, " Design and characterization of a tunable DNG metamaterial superstrate for small beam steering antennas", proceeding of META'10, the 2nd International Conference on Metamaterials, Photonic Crystals and Plasmonics, pp. 255-259, Cairo, Egypt, February 2010. I. Y. Hsia, "Radiation characteristics of Hertzian dipole antennas in a nonreciprocal superstrate-substrate structure" IEEE Transactions on Antennas and Propagation, Vol. 40, Issue No. 7, pp. 782-790, July 1992. Ronold W. P. King, "Electromagnetic field of dipoles and patch antennas on microstrip", RadioScience, Vol. 27, Issue No. 1, pp. 71-78, Feb. 1992. R. Womersley, "The Search for a Home for the Next Generation of Wireless Broadband", Spectrum for WiMAX in Europoe, InterConnect Communication Ltd., Merlin House, NP 16PB, UK, 2006. H. Attia, L. Yousefi, M. M. Bait-Suwailam, M. Said Boybay and O. M. Ramahi,"Analytical model for calculating the radiation field of Microstrip antenna with artificial magnetic superstrates:Theory and Experiment", IEEE transactions on antennas and propagation,vol.59,issue no, pp.1438-1445,2011.